Discover the lively canals of Bangkok, float down the spectacular Mekong River, visit mysterious caves and incredible limestone karsts in Halong Bay, go shopping in the tailor shops in Hoi An, grasp through the Cu Chi tunnels are many interesting activities you can do here. 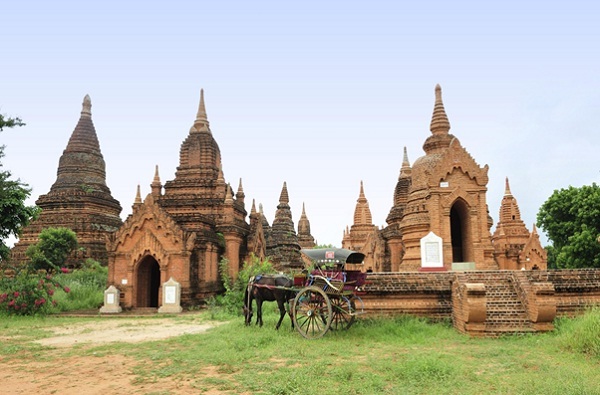 Once being in Thailand, do not miss to explore the energetic city landscape of Bangkok, be amazed by the splendid granite top of Doi Suthep, pay a visit to a traditional village of Hmong, and sample delicious noodles in Chiang Mai. Lucky as you are, you may have a chance to see the chanting of the monks before going to Chiang Khong, a slow-paced trading town situated on the bank of the Mekong River. Arrive in Chiang Mai early in the morning and spend free time exploring this town by choosing amongst a wide range of offered activities or simply explore the city independently by your own. Pass over the border to get access to the immigration area of Laos, and then get on a songthaew (local bus) to an authentic slow boat. 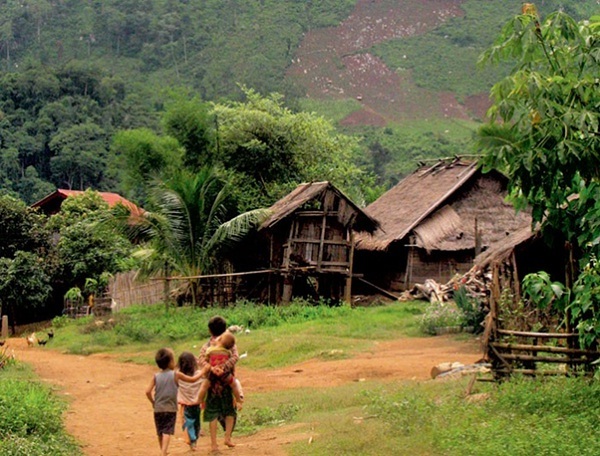 Travel down the Mekong River and adapt to the slow rhythm of daily life in Laos. This mainly mountainous country has unsurpassed sceneries of the urban riverside villages, the lush tropical jungle as well as the magnificent mountains. 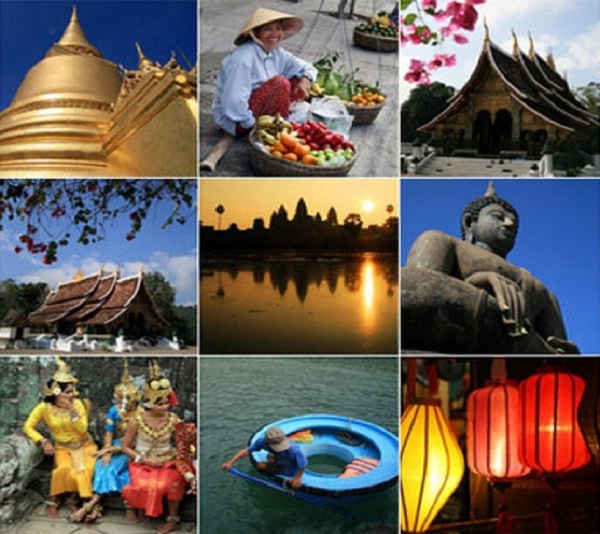 Then you can join in a short flight from tranquil Laos to the hustling city of Hanoi, the capital city of Vietnam. Make yourself at home by choosing what activity to do such as a relaxing stroll through the Old Quarter or enjoy traditional Vietnamese dishes. If you are wondering what the way to start a visit to this diverse country is? The answer is after taking a short flight to Hanoi, catch a private vehicle to go on a 45 minute trip to the hotel in the city centre. On the next day, you can go to Bai Chay harbor, the jumping off point for Halong Bay where thousands of islands with chaotic cave systems rise substantially above the waters. Sail through these limestone mountains in the junk boat and make a stop to visit some of the mysterious islands and giant caves.